The North East has the highest death rate from illegal drug use in England, new figures reveal. Analysis from the Health and Social Care Information Centre shows the region had a death rate from ‘drug misuse’ - as opposed to accidental or deliberate overdose of legal drugs - of 69.3 per million of population in 2014. The North West had the second worst mortality rate, at 60.9 per million, and London had the lowest, less than half that of the North East at 25.4 per million. “The regions with the highest mortality rates over the last nine years were the North East and North West,” says the report. Nationally, the number of deaths related to misuse of illegal drugs in England and Wales is at its highest level since comparable records began in 1993. Today’s report gives insight into the misuse of drugs in society, and shines a light on the prevalence of drug use among different age groups. In 2014, there were 2,250 deaths related to the misuse of illicit drugs, an increase of 15 per cent on 2013 and 44 per cent higher than in 2004. The new report also shows the number of hospital admissions relating to illegal drugs is on the rise. In 2014/15, there were 8,149 hospital admissions with a primary diagnosis of drug-related mental health and behavioural problems and 14,279 hospital admissions with a primary diagnosis of illegal drug poisoning. In Sunderland, there were 61 admissions as a result of drug poisoning in 2014-15, up four on the previous year, but the number of people admitted for drug-related mental health and behavioural problems was down by 13 to 27. 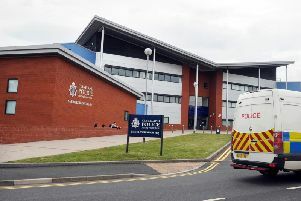 South Tyneside saw 63 admission for drug poisoning in 2014-15, a rise of 58 on the previous year, and 10 for mental health and behavioural reasons, down seven on the previous 12 months. Forty-four people were admitted to hospital in Hartlepool suffering from illegal drug poisoning in 2014-15, up from 40, and 24 for mental health reasons, a drop of five. The North West was the region with the highest rate of poisoning admissions and London had the lowest. Liverpool was the local authority with the highest rate of admissions for drug-related mental health and behavioural disorders and Wokingham had the lowest. In 2014, 15 per cent of secondary school pupils, aged 11 to 15, had ever taken drugs – 10 per cent had done so in the last year and six per cent in the last month. In 2015/16 around one in 12 adults aged 16 to 59 reported taking an illicit drug in the last year, similar to the 2014/15 survey but significantly lower than a decade ago. Statistician Paul Niblett said: “Today’s report gives insight into the misuse of drugs in society, and shines a light on the prevalence of drug use among different age groups.